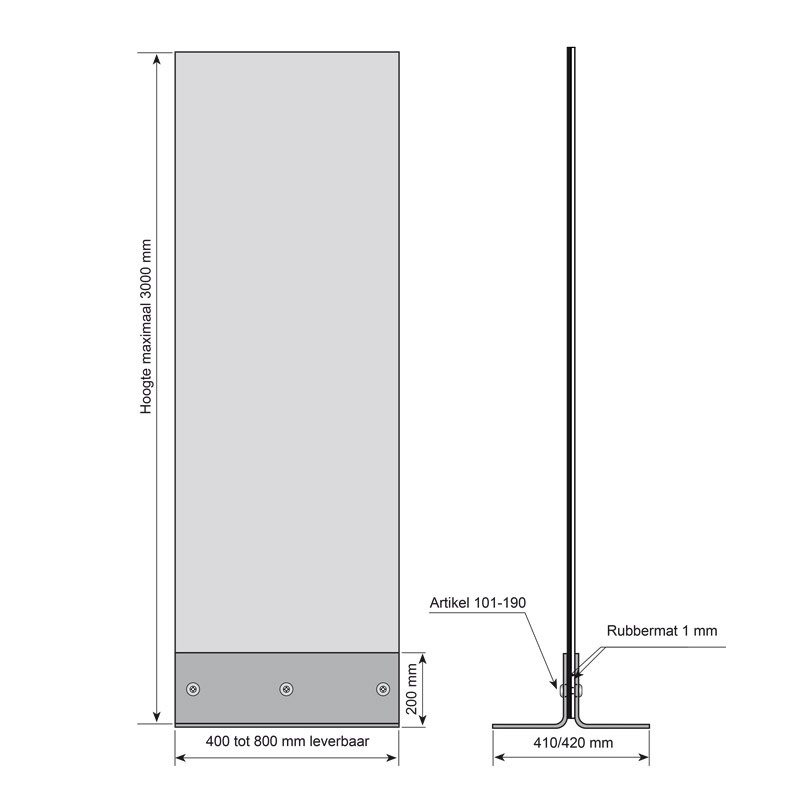 The indoor glass columns are available in various sizes. Because of the beautiful design, these glass columns with stainless steel feet are very suitable as luxury reference and signpost columns. The column is put loose on the floor. 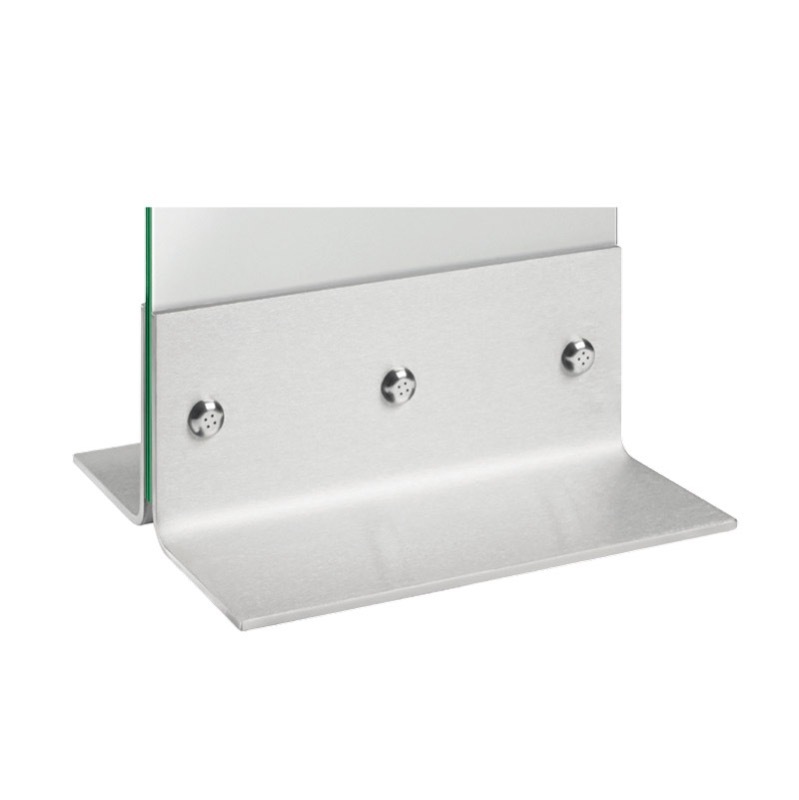 The feet consist of 10 mm bent stainless steel at an angle of 90° (r = 20 mm) and are made without disturbing weld seam and a clean polished surface of stainless steel. 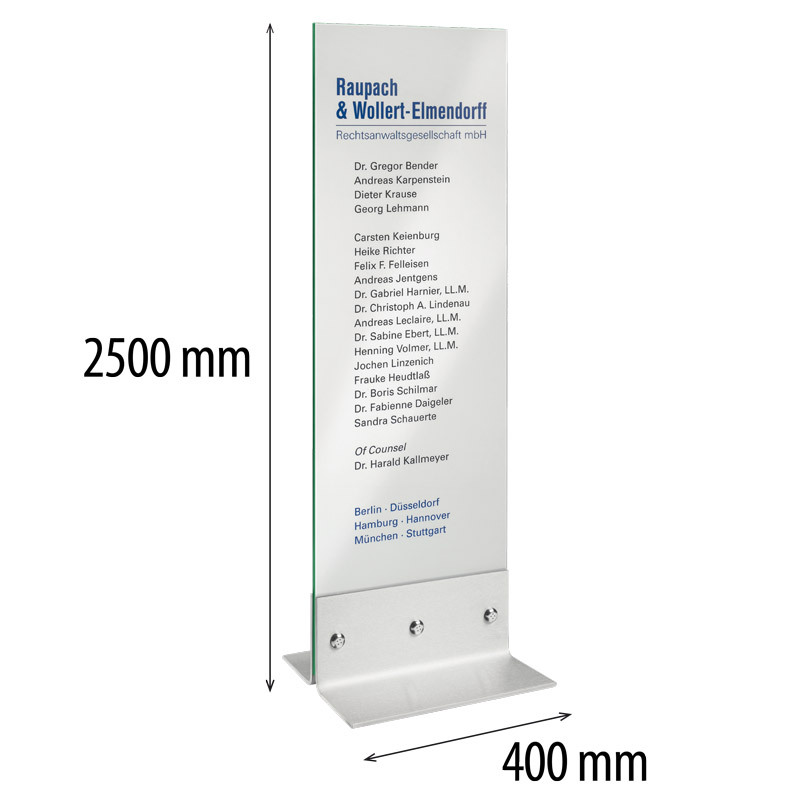 The column is supplied complete with foot, glass and fastening material. Glass thickness 12 mm. Supplement matted glass +10%.